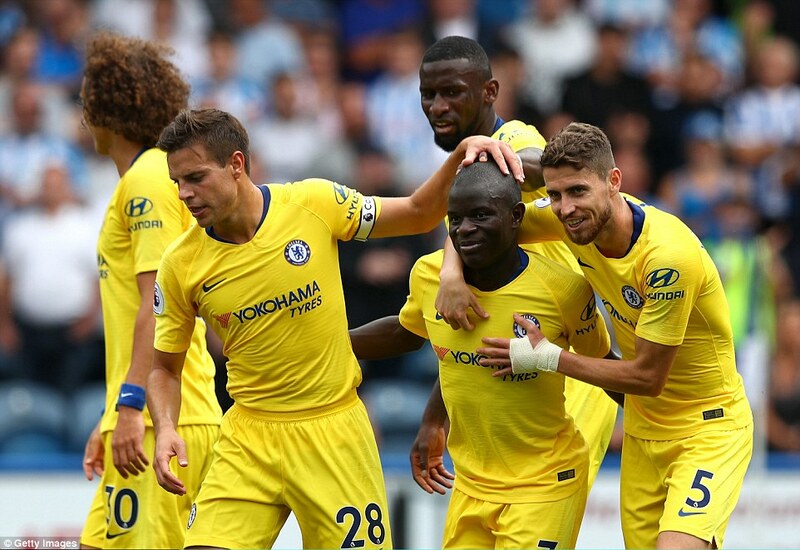 After a humbling 2-0 defeat to Manchester City in the Community Shield, Maurizio Sarri’s Chelsea gave a much improved showing to beat Huddersfield 3-0 in their Premier League opener. Hard to argue with a start like this for Maurizio Sarri. Three goals away from home, a definitive performance from his keynote signing, Jorginho, and a joyful cameo from Eden Hazard. Steve Mounie almost drew level but hit the post before Marcos Alonso went down in the box to win a penalty. Chelsea were awarded a penalty on the stroke of half-time after Christopher Schindler brought Marcos Alonso down. 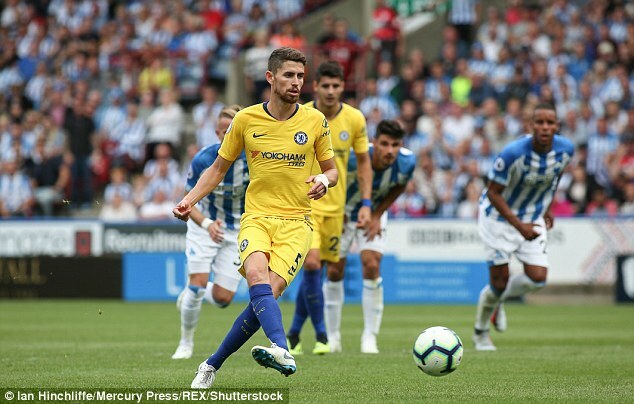 Jorginho showed real composure to stroke in from the spot for his debut Chelsea goal and to double the lead. Pedro put the game out of sight and sealed the three points after combining with Eden Hazard to score a third. Chelsea, by the end, had demonstrated much that was commendable, principally the result. Yet they are very much a work in progress, a prototype and with this a stuttering test drive. At times the engine did splutter into life and you could see how impressive they might be. 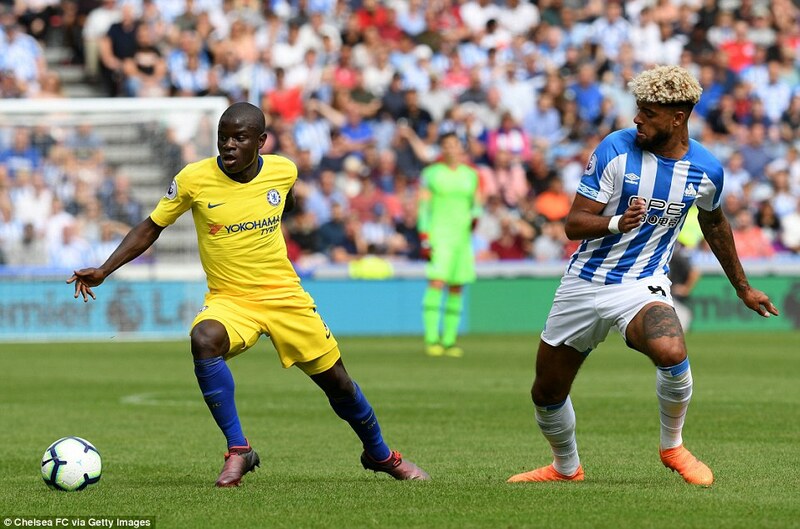 Indeed, Chelsea spent much of the first half chasing their tail, perplexed by Huddersfield’s intensity and tactical superiority, and looking distinctly uncomfortable in their new skin. The Italian coach suggested his players were not ready for the 3-5-1-1 system Huddersfield played, or, rather, that they lack sufficient grounding in what became known as Sarri-ball, to adapt. ‘Maybe for Napoli in the last year it wouldn’t have been a problem but for Chelsea, with some of the players only having had three days of training, it was a problem,’ he lamented. That they found themselves 2-0 up at half time despite having been out-thought and out-fought for much of the half was not a exactly a travesty. They have excellent player who invariably can dig the team out of such holes. But it was in no way a reflection of the balance of play. For Sarri the positives would have been Jorginho eventually taking the game by the scruff of the neck after looking bewildered for 35 minutes; Hazard’s wonderful 14-minute contribution; and Kepa looking like a solid keeper with excellent feet to play out. (And Sarri while rival Pep Guardiola in his insistence that his team does so; Chelsea hardly ever went long). Sarri said he will use this next month, before Europa League fixtures kick in, to get his ideas embedded in this team. Thereafter, the relentless tide of fixtures will be against him. Whether Chelsea will be sinking or swimming by then is a moot point. Good performance by Chelsea and Sarri. Let see what happens a couple of weeks later.